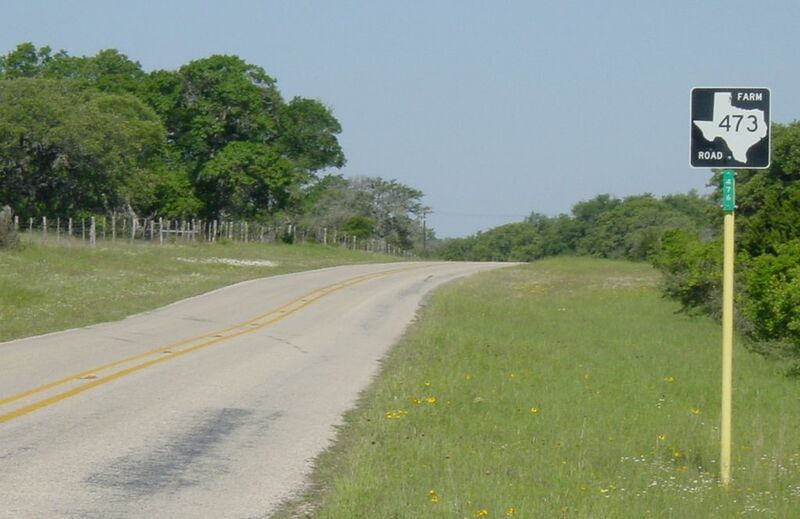 Farm Road 473 connects Comfort, Texas to highway 281, about 35 miles north of the center of San Antonio. The terrain is characterized by gently rolling hills, pastures, live oak, and scrub oak. (click for medium resolution 88k) Along Farm Road 473. 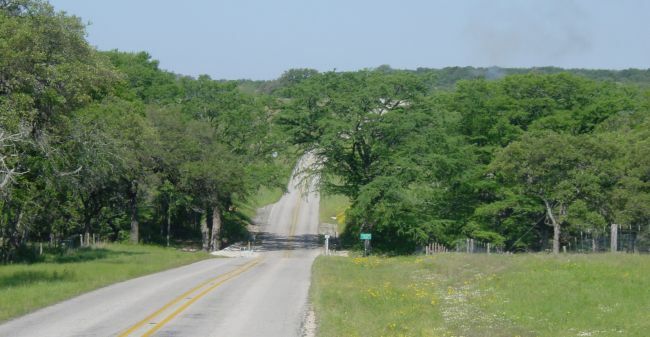 (click for medium resolution 87k) As with most of central Texas, rivers and streams are dry or have minimal flow nearly all the time, so low water crossings are commonly used. But when heavy rains occur, the streams can overflow the roadways very quickly. (click for medium resolution 97k, high resolution 216k) A typical low water stream crossing. Substantial trees typically grow along the stream beds. Most other tree growth in this region is scrub oak or cedar, due to low annual precipitation in the range of 25-30 inches per year. (click for medium resolution 58k) A typical roadway view with yellow flowers in bloom. (click for medium resolution 116k, high resolution 271k) A pasture along FM 473 with heavy wildflower growth. 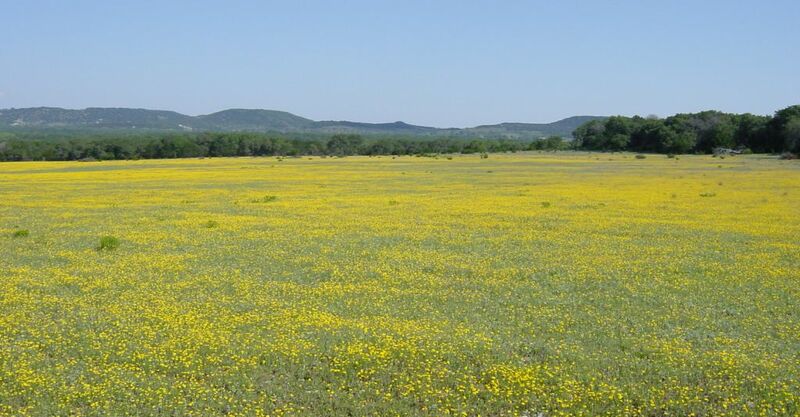 My first impulse is that these were daffodils, but there is an invasive European species of yellow flower that is taking over the central Texas landscape. (click for medium resolution 78k, high resolution 284k) A typical roadway view. (click for medium resolution 64k) A typical roadway view.